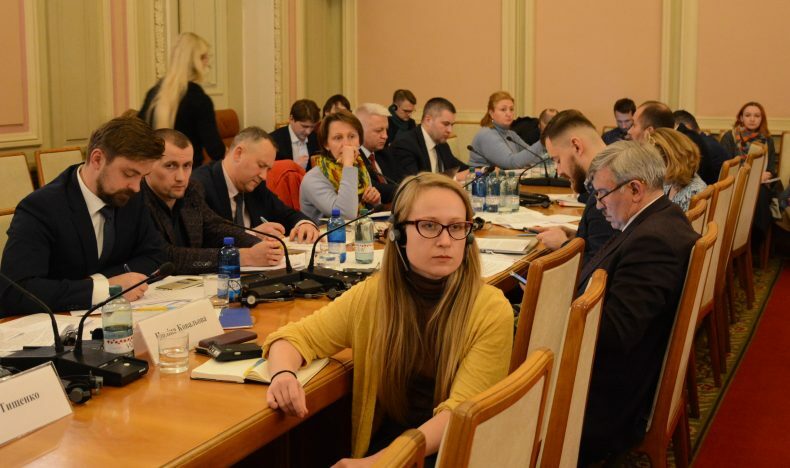 On November 21, the Committee hearings on the topic “Improvement of the state policy in the area of imposing sanctions on the individuals involved in illegal politically motivated persecution of the Ukrainian citizens” took place. 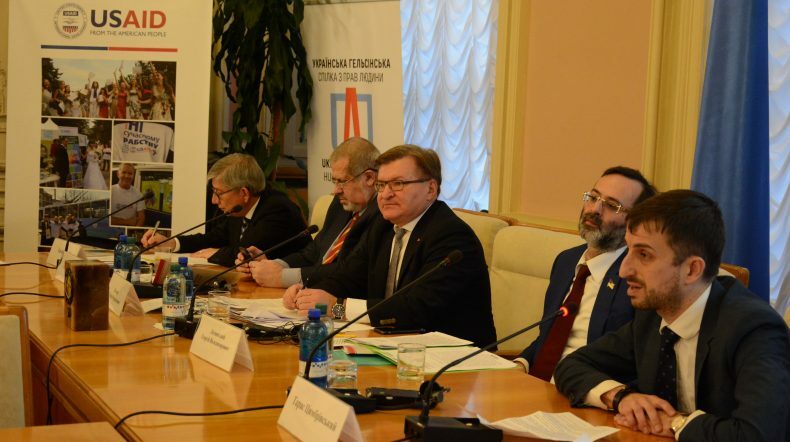 The event was organized jointly by the Parliamentary Committee on Human Rights, Ethnic Minorities and International Relations, Ukrainian Helsinki Human Rights Union and Media Initiative for Human Rights. Improvement of Ukrainian legislation in the area of imposing sanctions on the individuals involved in illegal politically motivated persecution of the Ukrainian citizens was discussed. In particular, the following topics were discussed: improving the efficiency of the national sanctions, promotion in the western countries of the sanctions regarding relevant individuals and the prospects of harmonization of Ukraine’s sanction policy with the provisions of “Magnitsky Act”. MPs, government officials, representatives of the law enforcement bodies, human rights organizations participated in the discussion. President of Ukrainian World Congress Eugene Czolij (Canada) and PEN-Center Project Director on the issues of the freedom of speech in Eurasia Polina Kovaleva (USA) also joined the discussion. 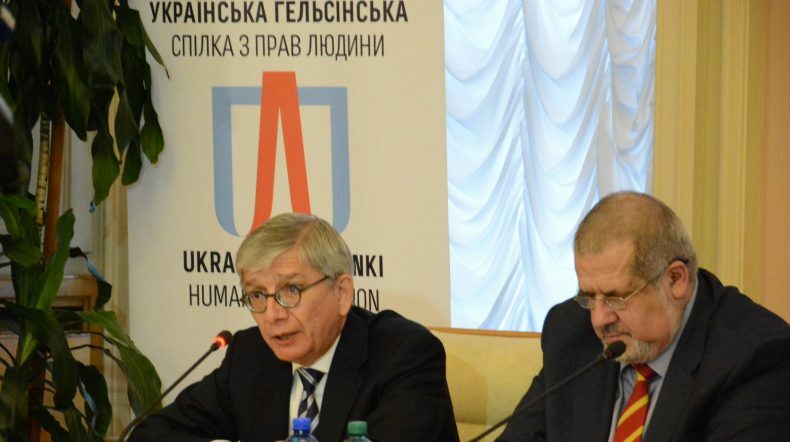 The experts discussed the ways of developing the policy in such a way that Ukrainian sanctions against human rights violators are taken up by the Western countries. Ukrainian Helsinki Human Rights Union was represented by Taras Tsymbrivsky, Head of the USAID Human Rights in Action Program and the lawyer Daria Svyrydova, and also Maria Tomak, the expert of the USAID Human Rights in Action Program and the coordinator of the Media Initiative for Human Rights. 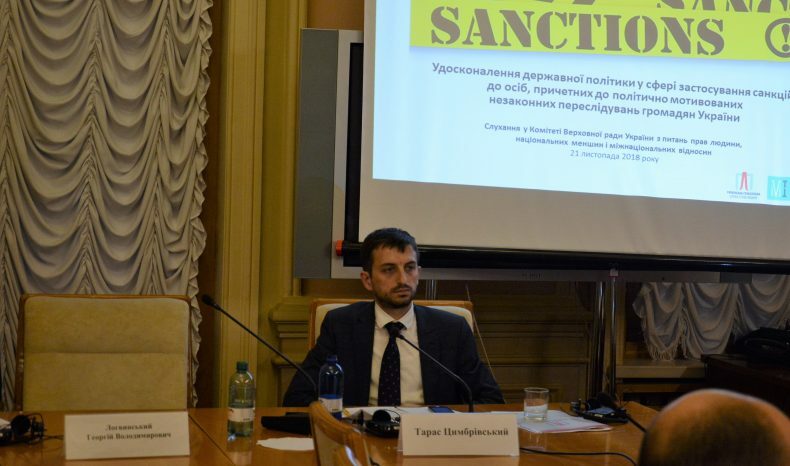 Taras Tsymbrivsky stressed the need to review Ukraine’s sanctions policy, which had not been amended since 2014, in order to prevent the systematic violations by Russian Federation of the rights of Ukrainian citizens in the occupied territories. 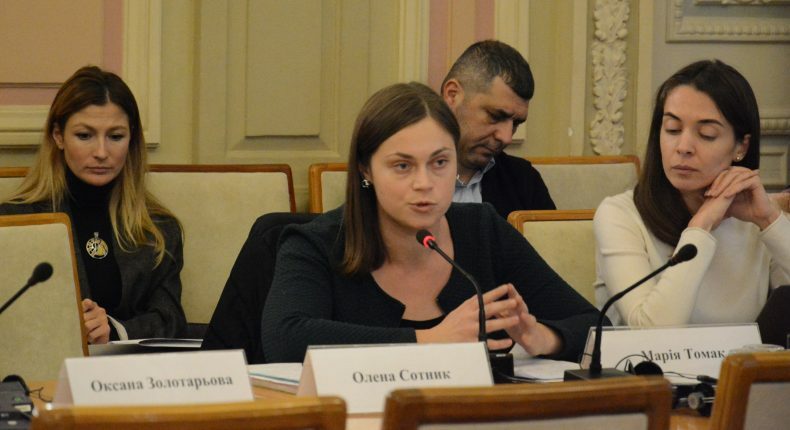 UHHRU Lawyer, Daria Svyrydova, stressed that it was important to coordinate the activities in the sphere of Ukraine’s sanction policy and designate the state agency, which would be responsible for sanction policy implementation. She also stressed that “people, which suffered the violation of rights and freedoms, expect that Ukraine will not only impose political pressure, they expect investigations and punishment of the guilty”. Together with Media Initiative for Human Rights, UHHRU prepared the recommendations for the Parliament, Government, Ministry of Temporarily Occupied Territories and National Institute for Strategic Studies regarding improvement of Ukraine’s sanction policy implementation. In particular, we recommend the parliamentarians, when drafting the Law “On Sanctions”, to envisage designation of the state body, responsible for implementation and coordination of the state policy on enforcement measures application in relation to gross violation of the human rights of Ukrainian citizens, which are persecuted on political grounds in occupied Crimea and at the territory of Russia. And the Cabinet of Ministers, within three months, shall submit to the Parliament the report on the previous implementation of the sanction policy and implementation of the activities in the context of human rights violation and in relation to certain individuals. 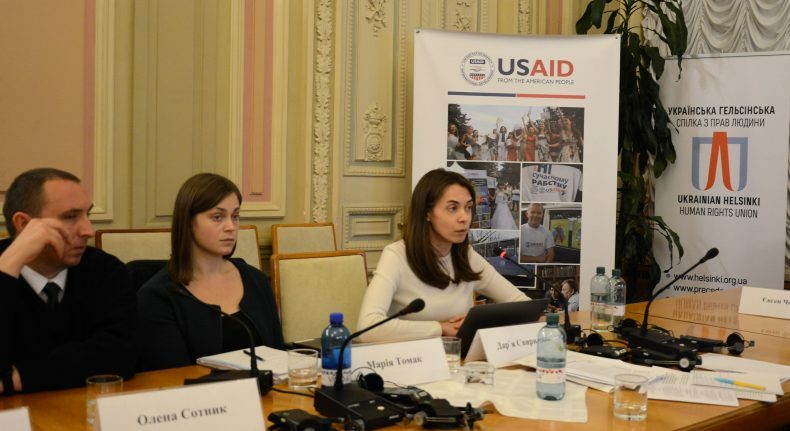 The event was conducted with the support of American people, provided through USAID. American people, through USAID, provide economic and humanitarian support all over the world for over 55 years. In Ukraine, USIAD provides support in the following areas: economic development, democracy and governance, health care and social sector. Since 1992, US Agency for International Development provided to Ukraine technical and humanitarian assistance for the amount of USD 1.8 billion.